Born: 1897, St. Clement’s, Ipswich. 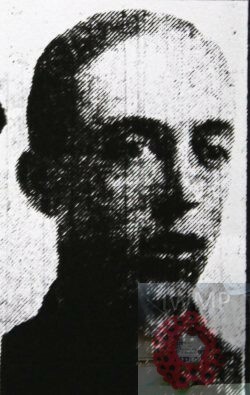 Died: 28th December 1917; age 20; Mesopotamia. Burial Date: 28th December 1917. Regiment: Machine Gun Corps (Infantry), 135th Coy. Plot U Row 3 Grave 1. 1901 45, Alan Road, Ipswich. Harry was 3 years old and living with his parents & siblings, cousin & paternal aunt. They were living at his paternal grandfather’s house. George Baker, 78, a Retired Boiler Maker, born Ipswich. Lepronia Lee Baker, 39, born Ipswich. Frederick Baker, 16, at an Iron Foundry, born Ipswich. William Baker, 43, a Steam Engine Fitter, born Ipswich. Bertha Baker (nee Woolnough), 37, born Wickham Market, Suffolk. William Finley Baker, 9, born Ipswich. Edith Lepronia Baker, 6, born Ipswich. Edward Alger V. Baker, 1, born Ipswich. 1911 45, Alan Road, Ipswich. Harry was 13 years old, an Errand Boy. He was living with his parents & siblings. William, 53, an Engine Fitter – Ransomes Sims Jefferies. William, 19, an Engine Fitter – Ransomes Sims Jefferies. George Robert C. Baker, 9, born Ipswich. Lepronia Evelyn M. Baker, 7, born Ipswich. Harry is also remembered on Holy Trinity church memorial Ipswich. The Machine Gun Corps was formed in October 1915 as the machine gun proved to be held affective as infantry support in trench warfare. Cavalry and Motor branches, followed in 1916 by the Heavy Branch. A depot and training centre was established at Belton Park in Grantham Lincolnshire also a training base depot at Camiers in France .the men were trained to a higher technical standard, capable of stripping down and mending the guns in the field. The Machine Gun Corps had 62,049 casualties, including 12,498 killed out of 170,500 officers and men earning it the nickname ’the Suicide Club’ manly as machine guns were static or fix positions becoming prime targets for the enemy.